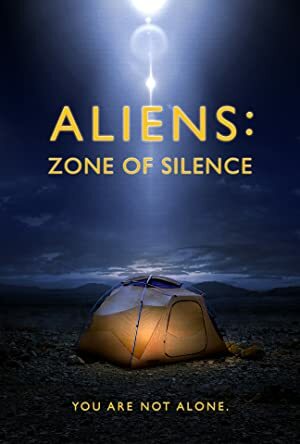 Aliens: Zone of Silence (2017) – What's New on Netflix Canada Today! Four months ago, Morgan Taylor’s brother, Hal, and his best friend went missing in a mysterious area of the Mexican desert known as Zona del Silencio. After receiving no help from authorities on either side of the border, Morgan heads south to uncover the truth about their disappearance, strapped with action cameras streaming footage to Hal’s Marine Corps squadmate back in the United States. When her vehicle suddenly breaks down just outside the zone, Morgan must traverse the desert alone, enduring intense heat in the daytime and menacing coyotes at night. She eventually locates Hal’s campsite and finds a kit filled with memory cards from his camera. The recordings reveal a series of strange noises, eerie lights in the sky, gravitational anomalies, and an extraterrestrial presence in a nearby mountain range. Convinced aliens were responsible for her brother’s disappearance, Morgan must decide whether to flee with her life or attempt to expose the otherworldly beings once and for all.